See full Preview with photos. See all links for information during the Finals at the bottom of this page. The 2018 top ten were: Southampton Green, Cambridge Blue, Exeter Blue, Imperial Blue, Strathclyde Green, Cambridge Black, Manchester Purple, Bristol Red, Oxford Blue and Southampton Red.All these achieved direct entries to Finals through the Qualifiers this year, except Oxford Blue, which led at the Playoffs, so gaining its place. Newcastle, Birmingham, Cardiff, Durham, Edinburgh, Manchester, St. Andrews, Sheffield, Plymouth and Southampton Blue also achieved Finals places direct. Loughborough Purple, Bath Blue, Exeter Black, London White, Bath Black, Nottingham Green qualified through Playoffs. And University College Dublin (UCD), the winners of the Irish Intervarsities 2019, makes up the 28-team Championship Finals. Spinnaker Sailing. 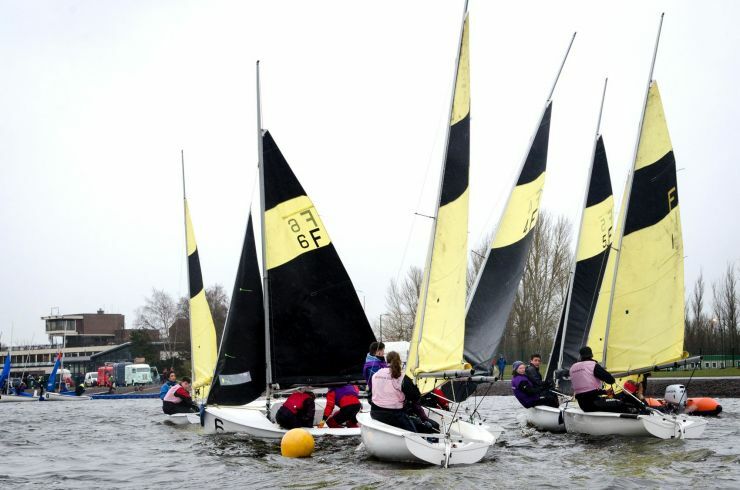 Teams of volunteers from across the country have been recruited, a race team to be led by Robyn Fitzgerald established and an international umpire team to be led by Jon Napier, together with Jury Chair, Andy Wibroe, is in place. A Media Team led by Izzy Burroughs of Glasgow will keep us all informed. All the best to all the competing teams and may everyone at Spinnaker have a great Championship. - where there will be frequent blogging, and, subject to the technology, commentary and video/drone streaming.